A human being is a very precious thing, both to God and to society. For our choir to sing with a full voice, we can’t afford to waste any of us. At Prodigal Ministries, the goal is to help restore broken relationships – between man and God through redemption, man and self through renewing of the mind, and ultimately restoration to families and community. This is the heart and soul of the ministry. We provide much needed stability and support to former prisoners, helping them develop the community living skills and accountability that they’ll need to redirect their lives and to become productive citizens. With God’s help, we achieve meaningful results, helping valuable individuals change their future and the direction for the next generations. We have a national packaging network made up of our headquarters facility in New Hope, Minnesota, a packaging division in Mankato, Minnesota, and satellites in 27 U.S. states and Canada staffed by volunteers who package the meals. In total, the packaging network has the capacity to produce over 50 million meals per year. We also work with other organizations seeking long term solutions to the systemic causes of hunger. Our aim is for our meals to provide a stable nutritional base from which the recipient peoples can move their families from starvation to self-sufficiency. 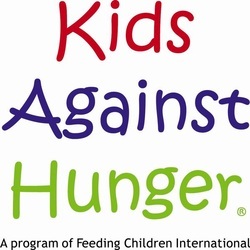 Since its launch, Kids Against Hunger has provided over 162 million meals for children and their families in more than 60 countries through the efforts of over 800,000 volunteers. Churchill Downs, located in Louisville, is the home of the famous Kentucky Derby. The historic track is also home to a year-round, interdenominational ministry for race track workers. Much of the ministry’s work is focused on the “backside” of Churchill Downs where the race horses are stabled. On the backside you’ll find a dormitory for workers, a dining hall, learning center, recreation center and other services designed to support track workers. Significant progress was made toward meeting workers’ needs with the opening in June 2006 of Christ Chapel, tucked among the barns on the backside. Churchill Downs donated the land for the Chapel. Its construction was completely funded by donations from the community. For many of us, it's hard to imagine having to choose between whether to go to the Doctor's Office or pay a phone bill, to have a checkup when ill, or put off such an exam to buy groceries instead. Sadly, there are persons and families in Oldham, Henry, Trimble, and Carroll counties whose life circumstances do not allow them the possibility to pay for basic, needed healthcare services. When an illness or other health issue arises, they often feel despair and hopelessness. Hope Health Clinic's mission is to provide such under-served persons and families with an opportunity to have access to basic health services, giving them a basis to hope for a better, healthier future. With the Support of Baptist Hospital Northeast, local government, community agencies, and the Oldham County Ministerial Association, Hope Health Clinic offers patients an opportunity to experience and enjoy physical as well as spiritual health. Grace Missions is dedicated to providing Christian love and care to children and young teenagers living in Grace Orphanage for Girls. We support approximately 24 orphans, ages 3 through 17. When the earthquake of January 12, 2010, struck Port au Prince, all of the girls were rescued from collapsing buildings. No one was injured. However, the girls’ dormitory was completely destroyed and other facilities were severely damaged. Reconstruction began immediately, but much still needs to be done. While repairs are still underway, the girls are living in temporary quarters in a large nearby home. As soon as repairs are completed, the girls will return to their dormitory and school. As you support these girls, you will receive “GraceNotes,” a monthly newsletter giving you up-to-date reports as to how your support continues to express God’s love at Grace Orphanage for Girls. If you wish, you may sponsor an orphan, providing a Haitian child or teenager with food, shelter, medical care, and a Christian education. Gilda Radner once said, “Having cancer gave me membership in an elite club I would rather not belong to.” While many people can relate to this statement – whether they have been diagnosed with cancer or have someone close to them who has – there is now such a club in our community of which they can be happy to be a part. In 2004, after eight months of extensive research in Louisville to ensure there was no similar local organization, a dream began to take shape -- a vision of a place for families and individuals touched by cancer to come learn, share, and laugh. The personal cancer experiences of several community leaders who supported each other during and after their own cancer journeys led them to ask, “What do other people do?” The answer they found: Gilda’s Club, a national organization with more than 20 affiliates operating in North America. What followed was a three year labor of love for Gilda’s Club Louisville’s Founding Board. With the faith of National City Bank, the vision of Henry Potter and Associates, and the generosity of community, the Gilda’s Club Louisville clubhouse became a reality, as did the Gilda’s Club program housed within it. The red doors opened to the public in August, 2007. The consistent response about the need for Gilda’s Club Louisville has been overwhelmingly positive and encouraging. Support from every local hospital, oncology groups, the American Cancer Society, Ronald McDonald House, the Kentucky Cancer Program, Susan G. Komen Foundation, Kentucky Cancer Institute, the University of Louisville, and others has been strong and unwavering. There is clearly a gap in local cancer services that is now being filled by what Gilda’s Club Louisville has to offer.